After their duo album Heart of a Bird (TUM CD 004), Iro Haarla and Ulf Krokfors wanted to make a recording with a different overall atmosphere and have some fun doing it with a larger ensemble. To achieve this, a group of friends was brought together to form the Iro Haarla-Ulf Krokfors Loco Motife. 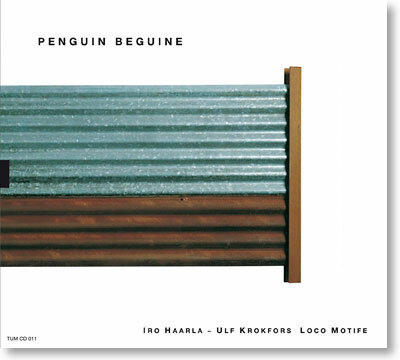 The music of Penguin Beguine is based on an electric sound especially in the form of Haarla´s different keyboards and Mikko Iivanainen´s electric guitar. Add strong compositions by Haarla and Krokfors, powerful personal expression from the soloists - including famed Swedish trumpeter Anders Bergcrantz and saxophonists Mikko Innanen and Rasmus Korsström - and you are sure to hear prime contemporary jazz. Penguin Beguine received the Emma Award as the Best Finnish Jazz Recording of the Year in 2005.